Gift tags incite anticipation. “Who is it for? …When can I open it?” Machine embroider all that excitement into our new in-the-hoop Giftables. Designed with a fully lined pocket, these fabric gift tags become the gift! Eight sizes in both narrow and wide, ranging from a 4 x 4 to 8 x 12 hoop size. 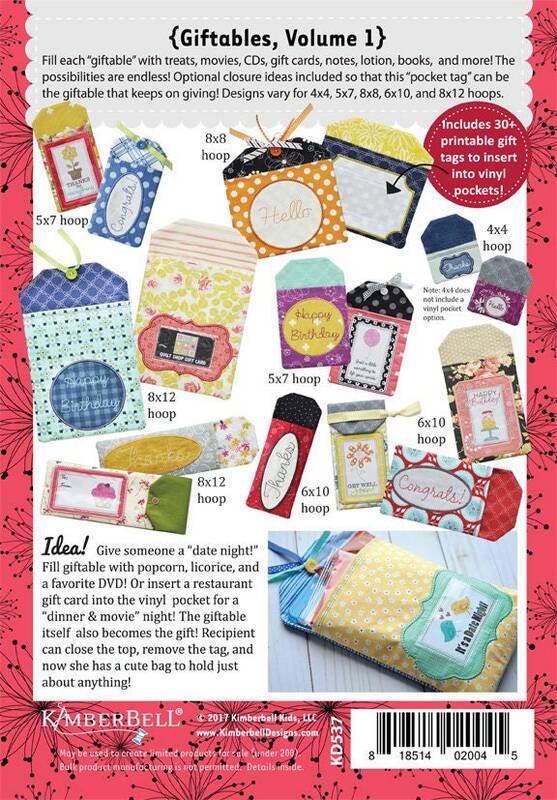 Fill each in-the-hoop “Giftable” pocket with treats, movies, CDs, gift cards, notes, lotion, books, and more. The possibilities are endless! 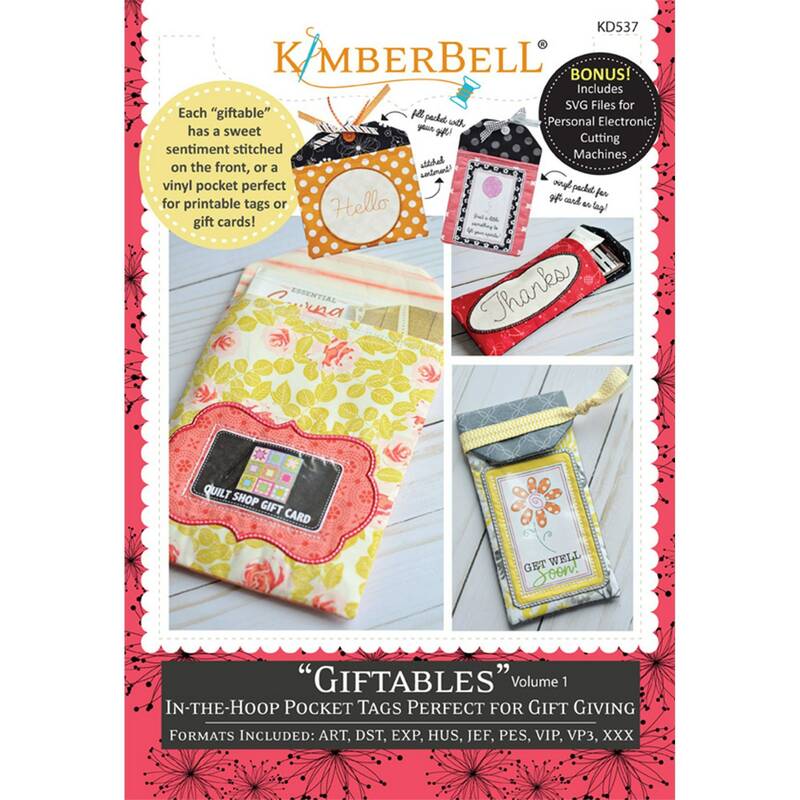 Optional closure ideas included so that this “pocket tag” can be the Giftable that keeps on giving! With a variety of sentiments: Hello, Congrats, Thanks, Happy Birthday, or Thinking of You! Each tag can also be made with a vinyl pocket just the right size for a gift card or slip one of the printable tags (included on the design CD) inside. There are over 30 printable gift tags included on the CD!